Bold Blossoms is proud to offer a special Mother's Day Bouquet. 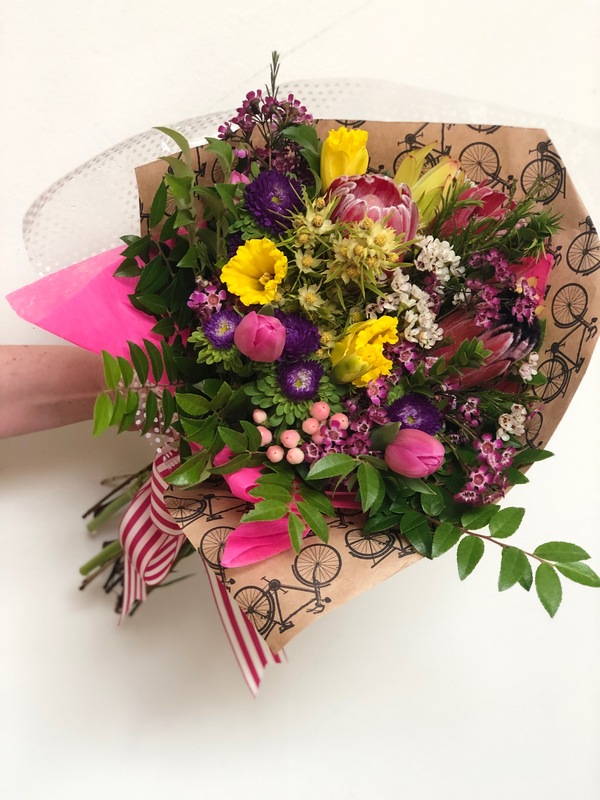 Order this special one-time product, and you will receive a uniquely designed Mother's Day themed bouquet just in time for this special holiday celebrating mothers, grandmothers and other special women in your life. NOTE: Bouquets will be sent just in time for Mother's Day no matter when your order is placed. Note: This is not the same bouquet received as part of a Bold Blossoms monthly flower box subscription. Mother's Day bouquets can be purchased separately or in addition to a Bold Blossoms monthly floral subscription. They are larger and filled with all kinds of special flowers selected just for Mother's Day! *subject to change based on availability. Flowers, color & design created just for you! Not exactly as shown. Copyright 2019 Bold Blossoms Inc.